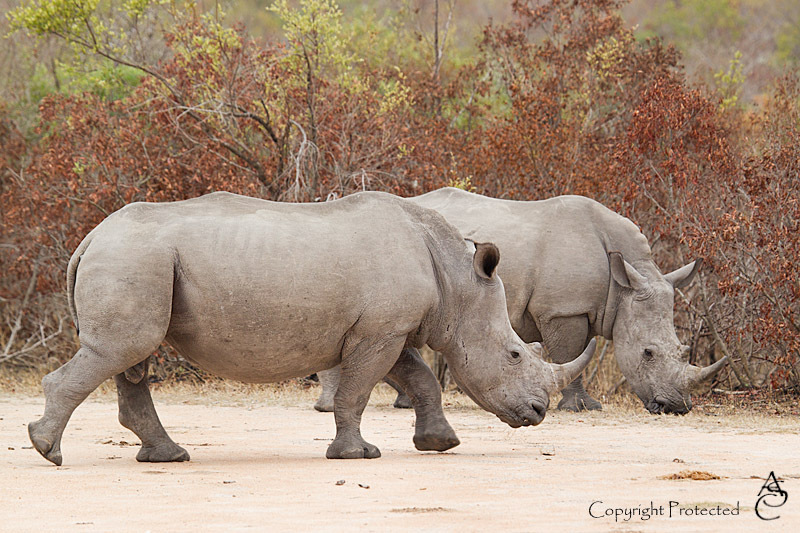 So, after two years spent exploring the north of the park, we found ourselves longing to see the South again. 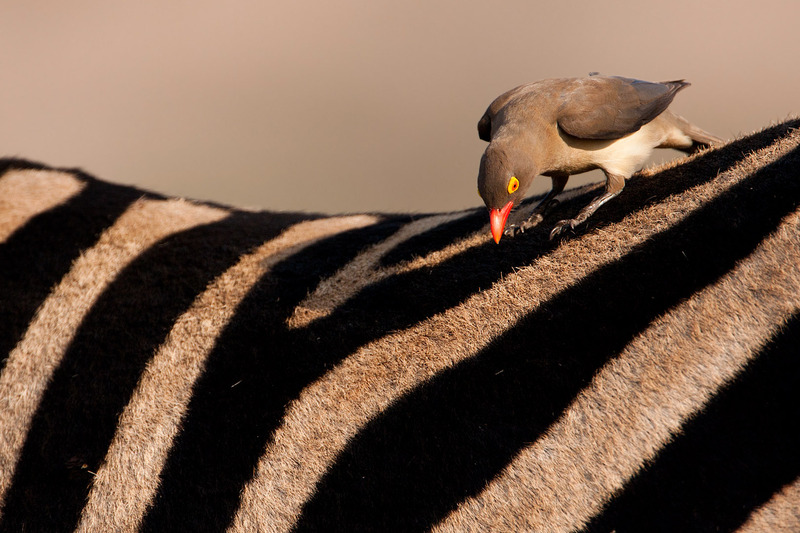 So, with our eyes filled with visions of the awesome big-5 sightings that the southern regions are famous for, and with considerible trepidation that we will spend too much time stuck in some of the infamous Kruger traffic jams, we booked 4 nights in Crocodile bridge. Having pre-arranged for late entry, we arrived at the gate after 7pm, having lost over an hour to roadworks on the N4. 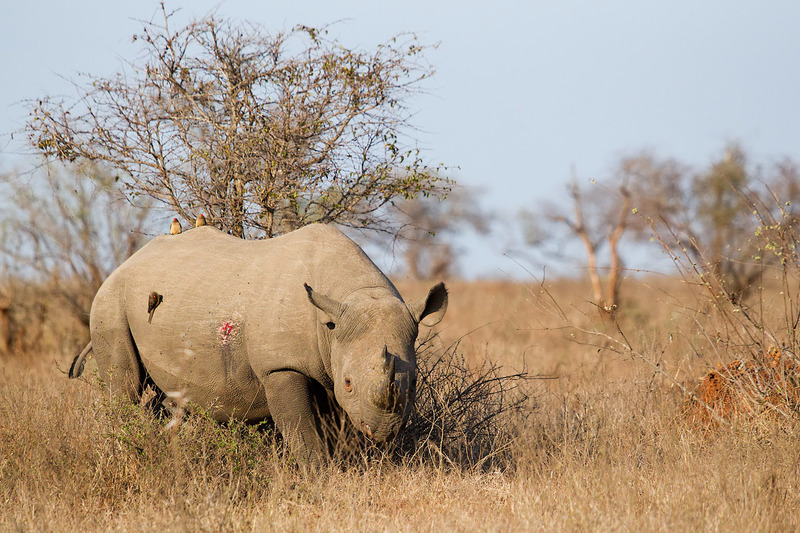 We drove across the low bridge over the crocodile river in pitch dark – an experience that was over much too soon – and were met at the gate with a friendly smile. A few minutes later we were escorted to our bungalow, where we were finally able to relax and have dinner on the balcony with the sound of the water rushing over the weir in the background. We spent some time relaxing in the …. 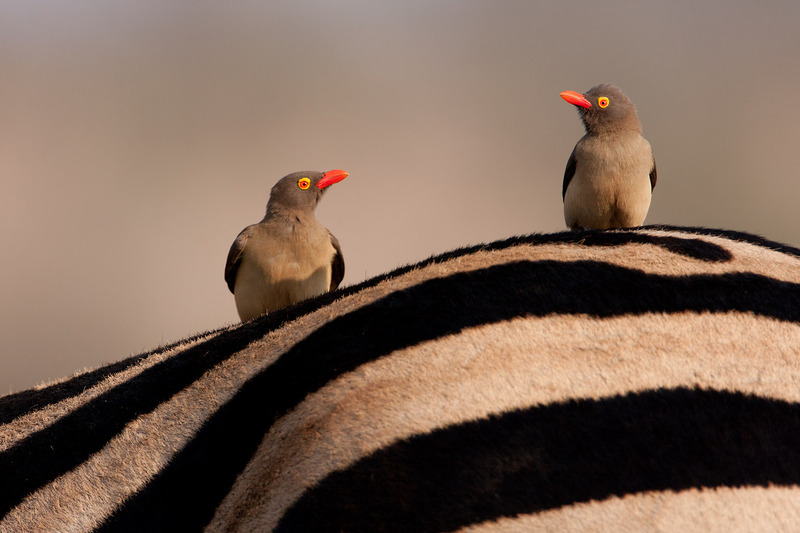 hide, and as we left, we were rewarded with our first great photo opportunity – a herd of Zerba with red-billed oxpeckers everywhere! 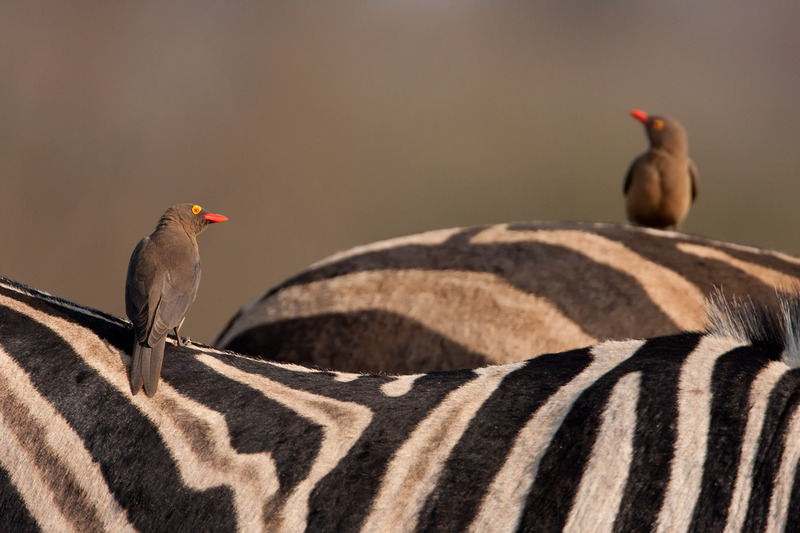 The little birds with the bright red bills and yellow eye-rings are photogenic in general, but when contrasted with the graphic black and white of the Zebra, the scene was simple irresistible. With the basic portraits done, I decided to get playful and experiment a little with different levels and depth-of-field. Unfortunately, the Ntandanyathi hide is just too far from Crocodile bridge for us to completely relax, and all too soon we had to leave. 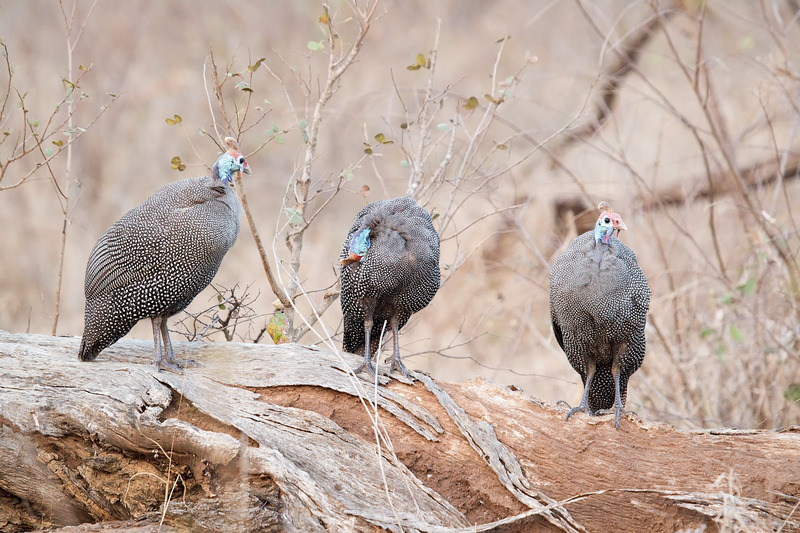 We did, however, have time to pause and take some shots of a flock of Helmeted Guinea fowl settling down for the night. The second day dawned with think clouds blocking the sun, but we decided to head out anyway, and make what we could of the rather poor light. Our first goal was Biyamiti Weir. Although the weir itself didn’t offer any great rewards, we did come across a family of dwarf mongoose on our way there. From there, we went on to Afsaal, where we had a delicious breakfast of Kudu word, pap and gravy. Highly recommended! With our tummies full, we made our way down to Renoster Pan on the H3, we – surprise! – we were met by three beautiful White Rhinos, and a handful of buffalo. 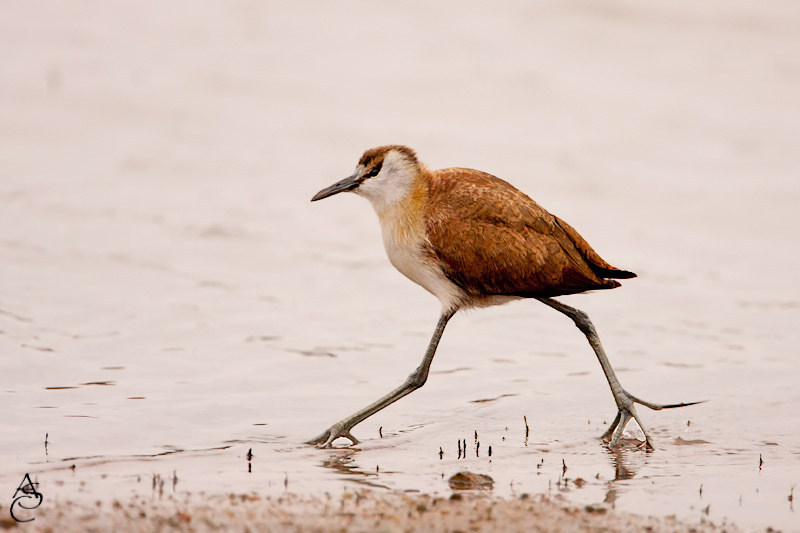 With the persistent cloud cover continuing to thicken, we pressed on to Mpondo dam, where we were rewarded with, well, not much really – only a few small waders pecking around in the shallows out of reach of even our long lenses, and an African Jacana. 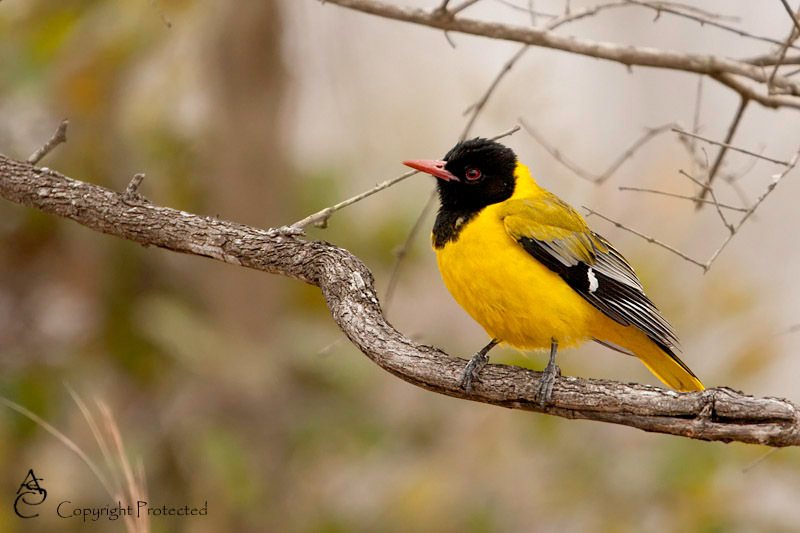 At least we were rewarded with a nice sighting of a black-headed Oriole on the way. Our final sighting for the day, was well worth waiting for – an African Civet, jogging along the H4-2, a few meters from into the grass. Sadly, the light was too low to get any pictures worth keeping.